John Steinbeck was born on this date in 1902. 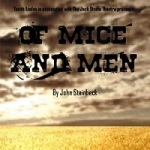 His novel Of Mice and Men is one of the most challenged and banned books of the 20th Century. Under what conditions would you support or oppose banning a book?